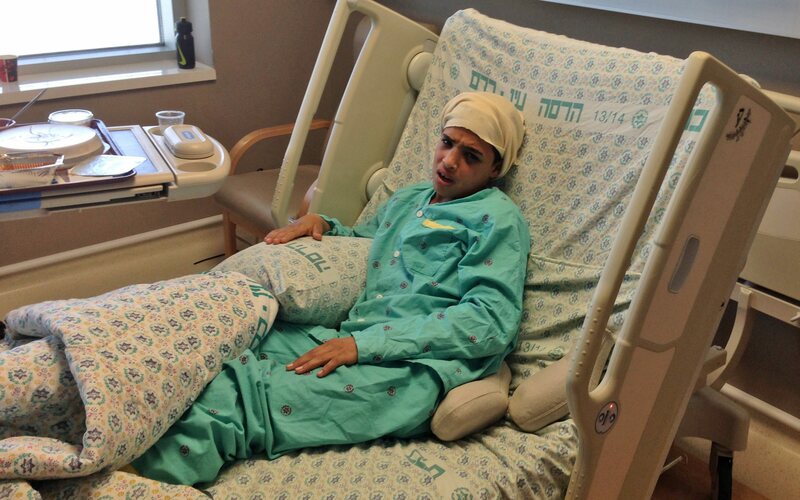 Ahmed Mansra, who stabbed and seriously wounded two Israelis, in hospital in 2015. Israel’s Supreme Court reduced the prison sentence of a Palestinian teen who stabbed two Israelis in Jerusalem in 2015. The court shortened the 12-year sentence of Ahmed Mansra by 30 months, citing a positive report on his rehabilitation. Mansra, now 14, carried out the attack in October 2015 in the eastern Jerusalem Jewish neighbourhood of Pisgat Zeev with his 15-year-old cousin Hassan Mansra, who was killed by police during the incident. An Israeli teenager and an Israeli man were seriously injured in the attack. Mansra, of eastern Jerusalem, was reportedly the youngest Palestinian to be convicted by an Israeli civilian court. He was 13 at the time of the attack. Mansra teen was hit by a car as he ran from security services following the attack and was treated in an Israeli hospital. A video of him being cared for was released after Palestinian Authority President Mahmoud Abbas accused Israel of “executing” him. Shortly after his arrest, Ahmed reportedly said that he and his cousin had planned to kill a Jew in revenge for the treatment of Palestinians in the West Bank and Gaza and the changes they believed Israel was making to the status quo at the Temple Mount. Later in his interrogation, Ahmed changed his story, saying they only wanted to scare Jews. He later reportedly apologiSed to his victims.